The Truth Behind The Current Arrests Concerning An Alleged Meeting Between A Saudi National, A Bangladeshi MP and The "RSO leader"
When asked to seek the truth behind the current arrests concerning an alleged meeting between a Saudi National, a Bangladeshi MP and the "RSO leader", my immediate thought was; the truth is hard to come by. My next thought was of the possible implications that renewed talks of RSO activity can have on Myanmar's troubled Rakhine (Arakan) state. In Myanmar, one of the most effective arsenals of anti-Muslim hate groups such as the notorious 969 have been stoking fears of terrorism and Islamic militants in Rakhine state for many years. After the Rohingya lost their citizenship, local fears of the RSO as a militant group was no doubt part of the justification of what started the crackdown on the Rohingya's right of movement. This of course eventually escalated to the massive Rohingya IDP crisis currently in Rakhine state. The RSO still a sensitive subject in Rakhine state, so much that the Rohingya community shuddered at the recent news coming out of Cox's Bazar. In Bangladesh, the country is seeing an unprecedented amount of attacks being claimed by militant groups over the past year. The ruling Government has come under international pressure to address what is being portrayed in the media as a rise of Islamic terrorism in the country. Bangladesh is has a population of around 160 million people and over 80% of them Muslim and led by a secular government. The Political situation is not good here and deteriorating. The Awami League, are notorious for calling for the arrest of BNP opposition members and leaders. They have recently been executing leaders of the main Islamic Political Party the Jamaat - e - Islami (conviction of war crimes during the War against Pakistan that claimed Bangladesh’s independence. The JI fought against independence with Pakistan at the time.) The government ever fearful of renewed ideas of Islamic party coalitions seek to discredit Islamic political parties as terrorist threats. Keep in mind, both the JI and BNP have proven more sympathetic to the Rohingya refugee crisis in Cox’s Bazar. During Ramadan, Bangladesh government arrested well over 11’000 people in the name of investigating terrorism and targeted many members of Islamic Political Parties. Not long before all of this talk of terrorism, the main issue at the Myanmar/Bangladesh border wasn’t militants or even for refugee hopefuls attempting to gain entry into Bangladesh. The issue has been Drugs. Specifically, the trafficking of Yaba (methamphetamine) tablets from Myanmar into Bangladesh. 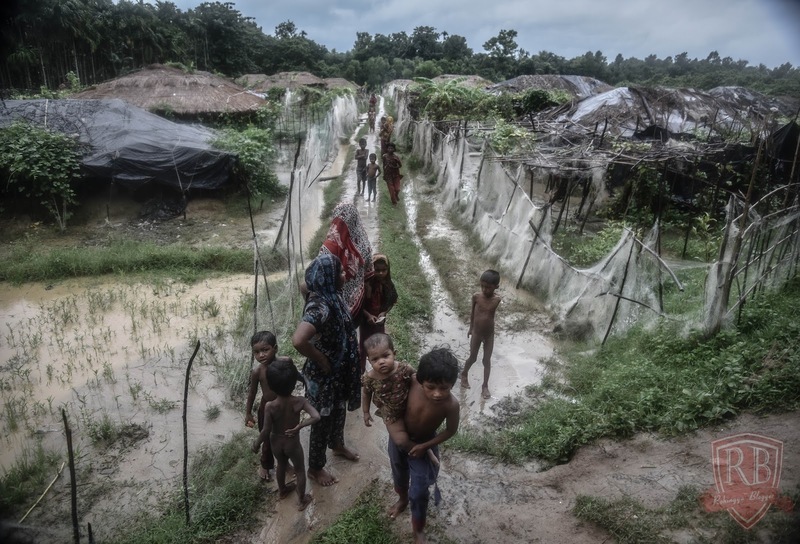 Once in the country, drug dealers enlist from an unlimited supply of vulnerable undocumented Rohingya girls to sell the product in Cox’s Bazar. Arrested refugee females filling the local prisons and no laws written to protect them in the country. The local and international NGO community have also been targeted in the long list of government led arrests. Several foreign nationals have been arrested on separate occasions in the weeks leading up to this alleged RSO related arrest. All parties and their local helpers were arrested in an attempt to distribute money or aid to unregistered Rohingya refugees in the Teknaf area. Over 200’000 undocumented Rohingya live in this area alone and as they are undocumented they cannot be registered for aid. Small foreign NGO’s who cannot acquire permission often attempt to bring some aid to these people, but as of late, any foreign NGO workers outside of those invited by Bangladesh’s Government controlled UNHCR are arrested while visiting the target areas. So, what seems to have happened in Cox’s Bazar these Teknaf and alleged border arrests seemed to be a perfectly timed opportunity. An MP, notorious for being involved in the Yaba drug trade in the same general area as a foreign national visits a makeshift refugee area near Myanmar’s border with a man dubbed as a terrorist because of ties with an Islamic political party with the intention of distributing unapproved aid. The MP says he was in Inani (that’s a good hour’s drive from Teknaf, when he said he heard of the arrest) when decided to visit to inquire about the situation. Meanwhile, the BGB are reporting of arrests at the border and that they are investigating the connection between the three incidences as a possible meeting or operation for terrorism. The product of this is that the Bangladesh government gets a few more opposition members and a (rumoured to be corrupt, but most likely peaceful local people) attempting to help a foreign national offer some relief to some poor people. Any connection between the MP and the arrested men at the border is most likely drug deal related. That’s if the arrest there actually happened. Local news between border guards on both sides of the border shows sharp contrast. Frequent announcements on the Bangladesh side of repatriating small pockets of refugees, in an effort to taunt the Registered Refugee community at pick at the wounds of the history of forced repatriation by the hands of the BNP who were the ruling government at the time. The next week the Myanmar side will reply to the allegation and deny the occurrence taking place. We may never get full details or concrete proof this border arrest indeed happened. Having a man listed to be RSO in these arrests further strengthens the government’s argument for their harsh stance against unapproved aid serving the Rohingya community while at the same time sparks rumours in Myanmar and generating a fear that often leads to tense situations in Rakhine resulting in further Mobility crackdown on the Rohingya. It leaves the Rohingya on both sides of the border vulnerable to random searches from authorities in the name of investigating terrorism. These searches, like most things in these affected areas are corrupt. It gives the lower level police an additional means to extort the Rohingya for money. That’s pretty much my take on it. I can’t offer you the truth about the men involved. As I said, at this point the truth is hard to come by. Will hope that more information surfaces through investigation of the foreign national. The main thing is not to panic and the RSO are most likley not a threat to anyone, other than the problems that a story about their existence can create for the Rohingya of Arakan. Written by RB Editor based in Bangladesh.